(Beyond Pesticides, June 14, 2018) With nearly 40% of Americans diagnosed as clinically obese, leading to health care costs estimated at over $200 billion, researchers are focusing on ways individuals can reduce their exposure to chemicals that contribute to weight gain regardless of diet or exercise. These chemicals, known as “obesogens,” include a range of consumer products, from pesticides to plastics and flame retardants. While diet and exercise remain critically important to fighting the ongoing obesity epidemic, obesogens may be working to increase appetite, fat storage, or make it more difficult for the body to shed fat once it is gained. In a presentation at the European Society for Endocrinology in Barcelona, researchers from the Universities of Aveiro and Beira Interior, Portugal identified ways these chemicals are entering our environment, and good habits to employ in order to reduce obesogen exposure. “Obesogens can be found almost everywhere, and our diet is a main source of exposure, as some pesticides and artificial sweeteners are obesogens. Equally, they are present in plastics and home products, so completely reducing exposure is extremely difficult – but to significantly reduce it is not only feasible, but also very simple”, lead researcher Ana Catarina Sousa, PhD, says in a press release. Reducing the use of plastic, especially when heating or storing food. Instead, use glass or aluminum containers for your food and drinks. Bruce Blumberg, PhD, University of California, Irvine, first hypothesized the theory on the role environmental chemicals play in promoting obesity in 2006. Coining the term “obesogen,” Dr. Blumberg found that a chemical his team was researching for other issues, a now-banned pesticide called tributyltin, happened to be make laboratory mice fat. 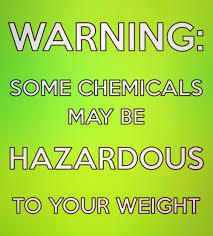 Since then, research on the issue continues to expand significantly, and government bodies such as the National Institute for Environmental Health Services have recognized the role pesticides and other chemicals play in weight gain and the global obesity epidemic. For more information about obesogens, see Dr. Blumberg’s recent article in Environmental Health News, or watch his recently released talk from Beyond Pesticides 36th National Pesticide Forum in Irvine, California. This entry was posted on Thursday, June 14th, 2018 at 12:00 am	and is filed under Chemicals, Disease/Health Effects, Obesity, Pesticide Residues. You can follow any responses to this entry through the RSS 2.0 feed. You can skip to the end and leave a response. Pinging is currently not allowed.